Nu-Tech Engineers has achieved the new dimensions in the Metal Cutting industry. 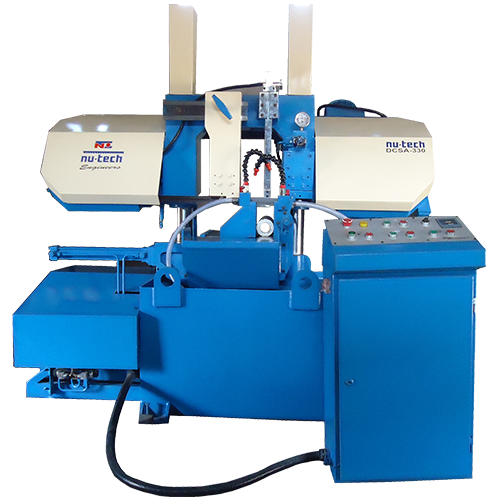 We are highly focused on the manufacturing of the best quality Metal Cutting Band Saw machines in this field. Our Metal Cutting Bandsaw Machines edges are produced using carbon and bi-metal which gives a legitimate cut and accomplishes a smooth completion. It is likewise known for its minimal effort of generation and a wellbeing control framework that guarantees the clients’ security amid each utilization. Our machine can cut in an assortment of shapes and materials. These materials can run from Alloy Steel, Aluminum, Brass, Copper, Mild Steel, to Stainless Steel. 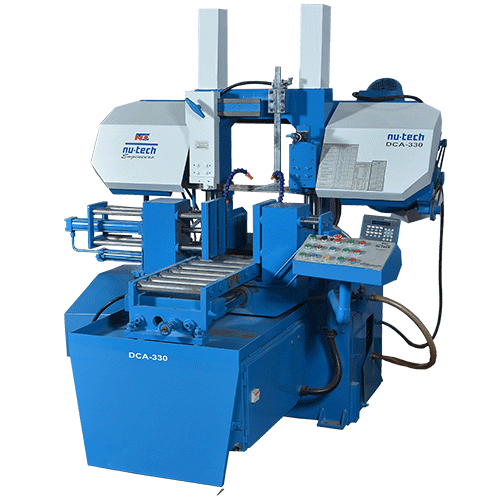 Moreover, our Metal Cutting Bandsaw Machine is furnished with a successful Clamping tight clamp that takes into consideration insignificant vibrations amid work sessions. 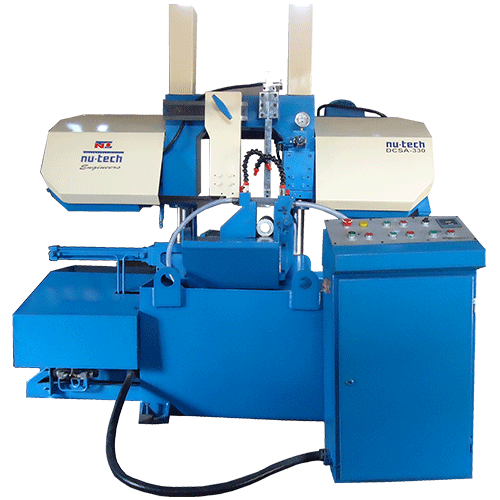 Our Metal Cutting Bandsaw Machine offers a quick, smooth just as exact cut unfailingly. Besides, the bandsaw is fitted with an ergonomic feed control that takes into account simple access amid activity hours. At Nu-Tech Engineers our main goal is to deliver the finest quality products to our valuable customers and as an outcome, we are having a large number of satisfied customers in India and abroad as well. Our versatile product range is capable of fulfilling the changing demand of the current metal cutting industry. Our product ranges from 175 mm to 450 mm bandsaw machines which are distributed in three categories.